A water crisis is a serious challenge. According to the World Economic Forum, water crises are one of the most important risks facing our globe. Droughts are a natural hazard, but one that causes great economic losses each year. They threaten our society, our food supply, and our environment. That is why researchers are taking the time to get a better understanding of the impact of droughts on agriculture, and to evaluate the best options for tackling them. Over the coming decades, we expect that droughts and water scarcity problems are likely to increase in frequency and severity. This is due to a number of different factors including our increasing population and changes in our eating habits. From an environmental point of view, climate change will surely impact agriculture, and we have come to recognise that the environment itself is a water user and that part of our water supply must be allocated to it to protect it. Globally, agriculture currently represents around 70% of total global water use, so it will be one of the sectors most affected by a decrease in water availability. In many countries, urban water supply and the environment are prioritized over irrigation. In the event of water shortages, the available resources are first allocated to them. This increases the pressure on irrigation, but priorities must be made. All of these issues are “normal” for people that live in countries were droughts and water scarcity are common problems. The UK, which receives on average 107 days of rain a year, has suffered severe drought events in the recent past. Despite our reputation as being grey and drizzly, the UK is rightly worried about the impact of this natural hazard. At Cranfield, the Natural Environment Research Council (NERC) is supporting my research into the impact these past droughts had on UK agriculture, and how farmers have dealt with and adapted to these extreme events. If we can help to better understand how the droughts of the past have impacted on UK agriculture, we can help in policy and decision-making in the future. Irrigated agriculture is mainly concentrated in the East of England, so as part of our research we are interviewing and surveying irrigators in this area. UK irrigation represents 1-2% of the total water use in the UK – much lower than the global average percentage, and the level required in countries like Spain (where I am from). It is true that the droughts that occur in the UK are not comparable with the ones happening in southeast Spain, California or Australia at present, but they still have severe impacts. 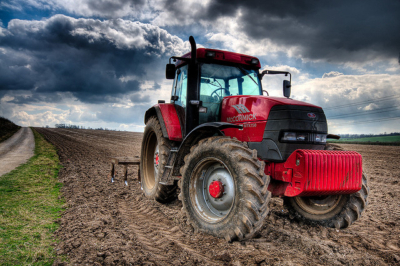 The last drought in 2010-12 caused an economic impact of around £400 million in the UK agricultural sector. A full drought could cost £1.5 billion. The good news is that our preliminary results show that the growers believe that the impacts of drought on crop yield and quality may have decreased over time. 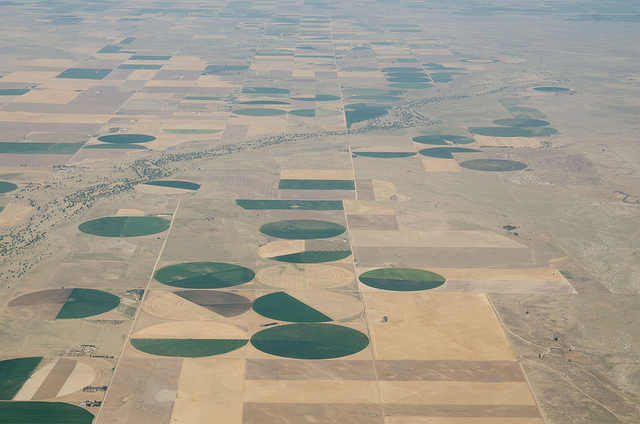 Irrigators are much better prepared now than before, and they now deal with droughts in a collaborative way. This is the legacy of severe drought events in the 1990s when Water Abstractor Groups were created. The UK’s Environment Agency has also improved their management of droughts. In some cases, irrigators have invested in on-farm reservoirs (despite the cost in building these) to avoid the risk of not having enough water to irrigate their crops. Other growers are changing the crop mix to improve their water use efficiency. Another positive conclusion from our work is that regulators as well as farmers agree that the relationship between them has improved significantly in recent years. They now rely more on each other and share information. All this is thanks to a more integrated management of droughts, which is good for everyone. I hope this will keep improving and act as an example of the benefits of working collaboratively on something that is so important for us – water. 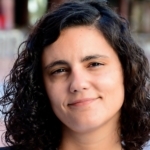 Dolores Rey is a Research Fellow in Agricultural and Environmental Drought Impacts. She is working on analysing how past drought events have impacted the agricultural sector in the UK, and how farmers have adapted their businesses to deal with droughts and water scarcity.